Home | News | We give thanks for the 2018 Denman Award Winners and their transformational Ministries! We give thanks for the 2018 Denman Award Winners and their transformational Ministries! The Harry Denman Evangelism Award is named for Dr. Harry Denman, founder of The Foundation for Evangelism and renowned lay evangelist. Dr. Denman believed that we are all called to spread the Good News of Jesus Christ – the Evangel. This award recognizes laity and clergy who are practicing evangelism in their daily lives and ministry through the local church. Laity: Ross Thornton from the Western District. Ross’ passion for introducing people to Jesus is infectious. He currently serves as an assign supply pastor at 4th Ave UMC in Huntington, and is attending pastoral licensing school this summer. His church has more than doubled in attendance in one year because of his outreach into the community. Many of those newly attending his church are those struggling with addiction and the myriad of problems that arise from addiction. Almost weekly Ross reports people who either choose to follow Jesus for the first time, or who return to faith after a long absence. Ross does not simply offer people ‘fire insurance!’ He also offers discipleship opportunities to those in his community. He meets weekly with a diverse group as they essentially engage in an early Methodist class meeting. He effortlessly incorporates sharing his faith in his every day activities. Whether he is in the gym or on the street Ross reminds people in both his words and actions that Jesus loves them! These stories and more describe why Ross is worthy of the Denman Award. Youth: Max McGinnis from the Western District. 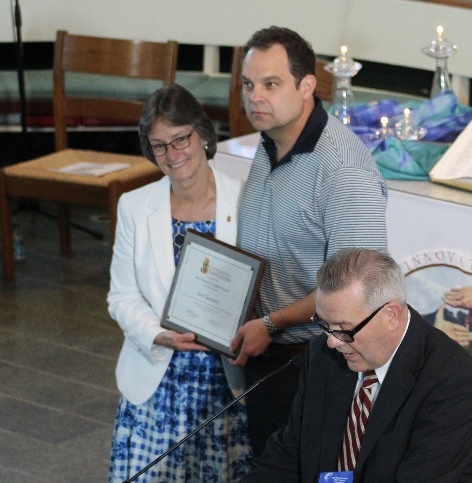 Max has been active in the life of Johnson Memorial UMC in Huntington for his entire life, and in the past several years has stepped out in leadership roles at the conference level, including his excellent work with the Youth Service Fund. Equally impressive is Max’s involvement in his school and community. He excels at both music and athletics at Huntington High School, and lives his life as a role model and example for others in the public schools. Max earned the rank of Eagle Scout this spring, and chose as his project the ambitious task of repainting all of the Ebenezer Outreach Center in Huntington. He organized, raised funds, and successfully supplied over 300 labor hours, and completely repainted the interior of the building in just one weekend. Dozens of friends, family, and community members were directly involved in this project, and the many children and youth who use the Ebenezer facilities are the direct beneficiaries of this effort. 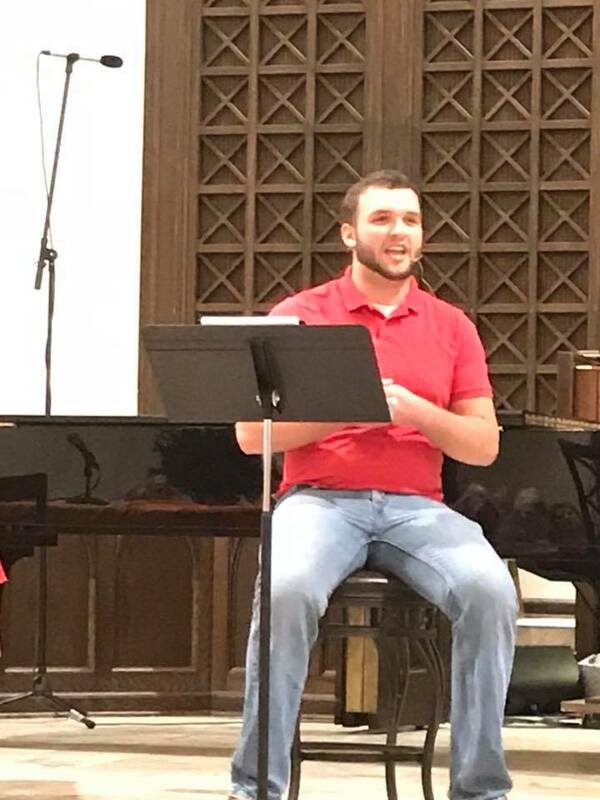 Max has also been instrumental in re-starting a youth ministry at Johnson Memorial UMC, including and inviting many youth who are now regular attenders at the weekly youth group meetings, and leading teaching, games and activities with the youth on a regular basis. Max truly exemplifies the spirit and goals of introducing and re-igniting the love and hope of Christ in a wide variety of people in a wide variety of contexts. Clergy: Rev. Dr. Ken Ramsey, pastor of Bridgeport United Methodist Church in the Wesleyan District. Ken tirelessly pours his heart, his gifts, and passions into bringing people into a life-transforming relationship with Jesus Christ. In the last four years at Bridgeport, Ken has been faithfully carrying out the mission of making disciples of Jesus Christ. They have received over 200 new members on profession of faith. The average worship attendance has increased in all services from approximately 475 to 700. With the addition of live-streaming the 10:45 service each Sunday, he has been able to share with thousands of additional people words of hope, love, and forgiveness through Christ. It is not uncommon for Ken with an intense desire to share the Good News to preach at the Saturday evening service, on Sunday at the 8:30 service, 9:45 at the Johnson Avenue campus, and then again at the 10:45 service at the main campus. Because encouraging our 50+ youth is a priority with Ken, he also attends the youth meetings on Sunday evenings. The late Rev. Billy Graham said of Denman that he was “my mentor in evangelism.” Ken is a great mentor to many. For the last 20 years he has spent a week volunteering his time, gifts, and passion at the Red Bird Missionary Conference School in Kentucky, equipping others to share Christ in their communities. His leadership has had a tremendous impact on at least 5 persons deciding to enter the ministry, three of which are already certified candidates. “A key component to a successful recovery ministry is buy-in and participation, which Ken has been a champion of both. 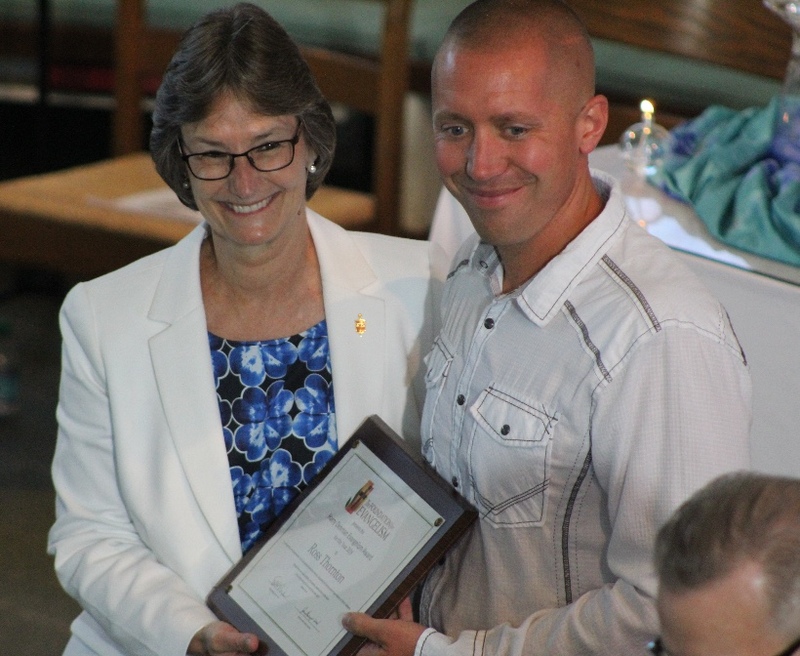 As a new Celebrate Recovery ministry in Bridgeport, Ken has shown great support in terms of the ministry and the individuals that come, expressing the love of Christ in his words and deeds. Ken’s approach to an individual is a reflection of Christ’s love and thereby stirs one’s spirit to desire a closer walk with Christ themselves. A true evangelist.” — Ben Randolph, Director, Celebrate Recovery, Bridgeport. We give thanks for these faithful leaders and look forward to seeing how God will continue to use them as servant leaders across The West Virginia Conference. We are indeed a Christ-led, spiritual breath of fresh air that changes the world!